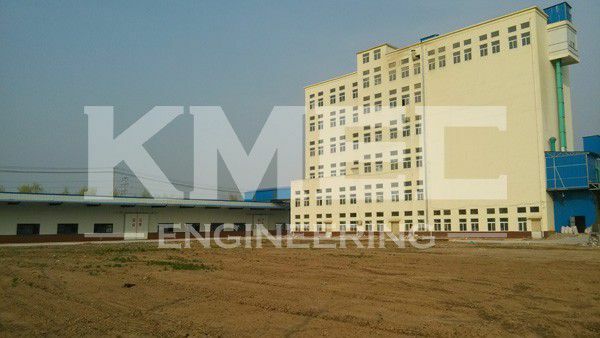 The 150-300ton/d wheat flour mill machine is a kind of multistory type flour mill plant. 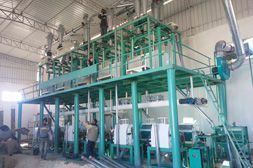 It consists of high square plansifter, pneumatic flour mill machine, purifier, etc. 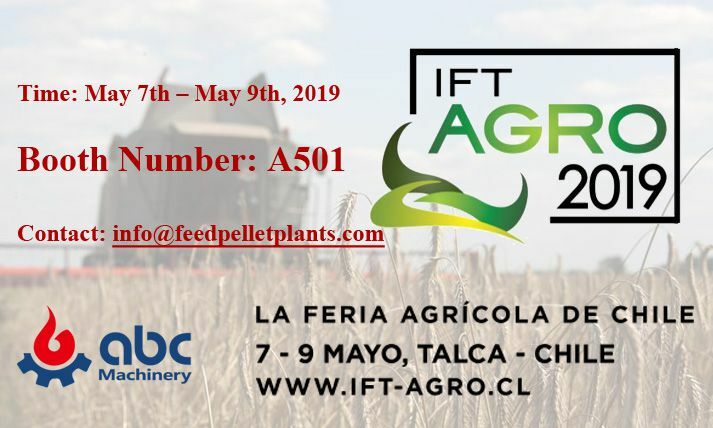 to realize advanced flour milling technology. It usually needs 4-6 storeys for installing the complete wheat flour plant. 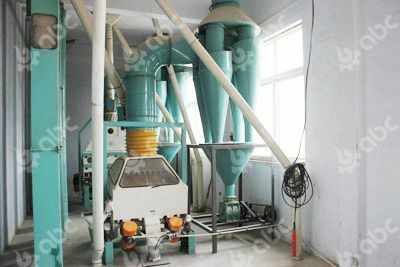 The whole plant is durable to use, easy to operate and maintain, and has high productivity and flour extraction rate. Therefore this wheat flour mill plant can be used to produce different grade wheat flour as well as special flour. 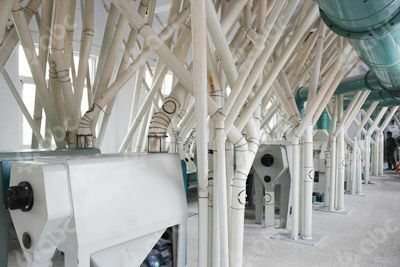 Cleaning part: This 150-300ton/d wheat flour mill plant adopts the cleaning technology of 3 times of sieving, 2 times of threshing, 2 times of destoning, one time sifting, 2 times of dampening, 4 times of magnetic separation, one time of wheat brushing, and one time air draft cleaning. 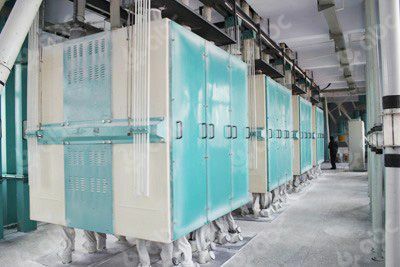 It is composed by raw wheat cleaning process and net grain cleaning process, which fully guarantees the quality of feeding wheat, as well as the working environment. 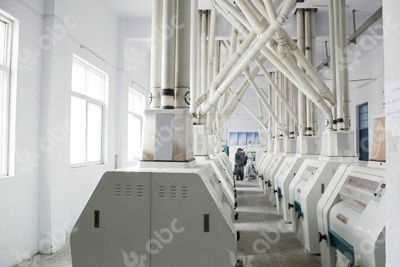 Flour milling part: flour milling part adopts the milling technology of 5 bran milling, 8 core milling, 2 slag milling, 2 tail milling and 5 purifying, which has high accuracy and high flour extraction rate. 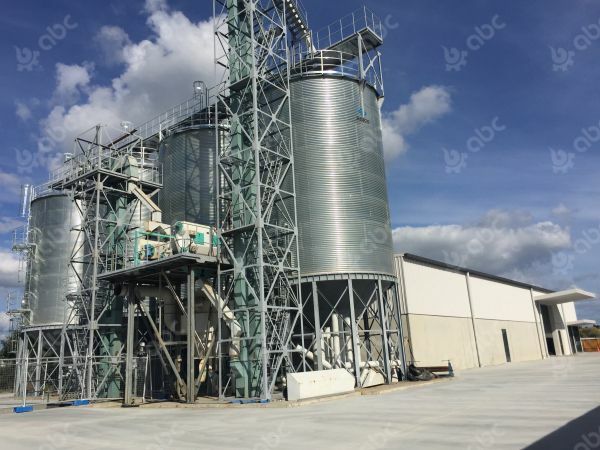 What are the features of this wheat flour mill plant? The roller mills are precisely manufactured and controlled by pneumatic mode, which makes better milling effect compared to ordinary mills. The whole set wheat flour mill machine adopts configuration modes for different choices. This series flour mill plant applies advanced technical process with flexible adjustment. We offer onsite installation and commissioning for customers and overall after-sales service. 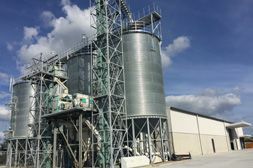 This is a 250ton/d wheat flour mill we built for our customer. You can click the picture to see details.